2019 STIHL HL 91 K (0°) for sale in Elgin, IL. Ralph Helm Inc.
A professional hedge trimmer with high reach, low-emission engine and 24" blade. Keep hard-to-reach hedges looking good with the STIHL HL 91 K (0°) extended reach hedge trimmer. 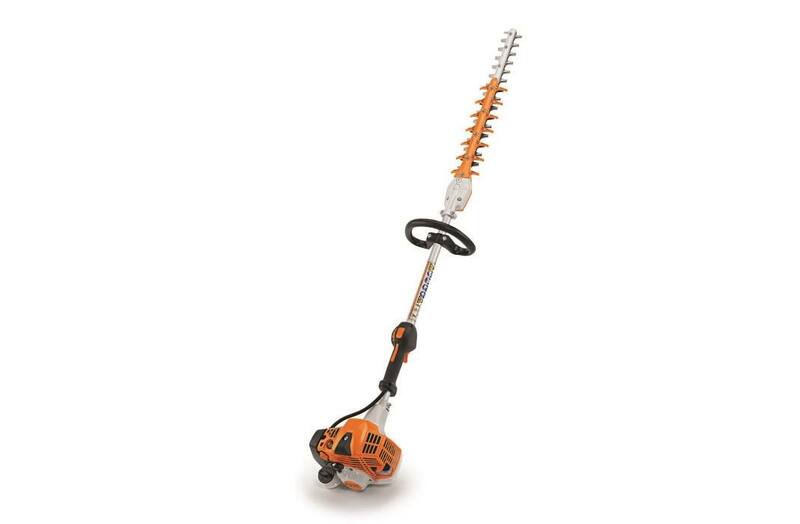 Built for professional use, this mid-length hedge trimmer is lightweight and features a fixed-angle, 24" cutting blade. Easy to operate, the HL 91 K (0°) features a powerful, fuel-efficient, low-emission engine. Its compact design provides excellent maneuverability and includes an innovative ergonomic rubberized control handle with ECOSPEED throttle control, allowing for variable speed regulation. This convenient tool is designed to help professionals work longer with reduced fatigue. Double-Sided Blades: The dual-ground blade system provides a clean cut and is ideal for cutting through stronger, thicker branches.